Ingenious Portable Daylight Lamp produces exceptionally good quality light when you are working or reading. The light switches off when you close the lamp – it does not have an on-off switch. No flickering so no strobe effect so eyestrain is reduced and potential headaches are eliminated. 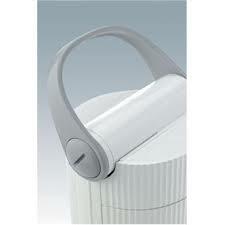 The lamp uses a 13w energy saving tube that does not get hot. For a physically small lamp, it gives out a large amount of light. There is a convenient carrying handle at the top. If your eyesight is not very good this makes an excellent reading light especially as the position and angle of the light is adjustable. Reading at night is much easier. The light can be used to light up the subject for indoor photography. If your eyesight is not very good this makes an excellent reading light especially as the position and angle of the light is adjustable. The mechanism to turn the light off and on is ideal for partially sighted people. It is so easy, no switch to look for just open and close the light. It’s easy to move around the house and can be positioned exactly where you want it. Buy the Ingenious Portable Daylight Lamp now. Good price, as light as good as another lamp I payed twice as much. 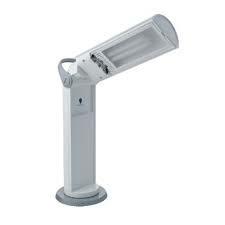 compact, stylish with a very bright light which shines over a sizeable area rather than just a small spot of light. The bulb never gets hot….